Purveyors of a uniquely “Tarantino-inspired”, spaghetti-western flavoured sound that marries mariachi brass to indie rock’n’roll, these desperados from Liverpool have been picking up glowing reviews for their debut album ‘Matador’. 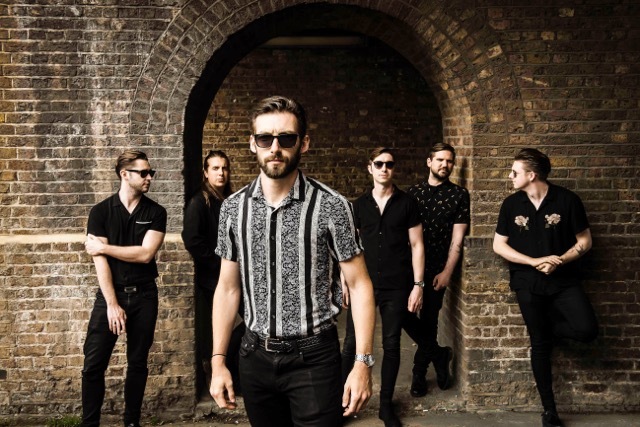 Signed to the Modern Sky UK label (The Blinders / Calva Louise), the sextet have already picked up supporters in Steve Lamacq (BBC 6Music), Ross Buchanon (Radio X) and Janice Long (BBC Wales) and will hit the road with new album in tow in March. Ethan McKenna interviews Red Rum’s frontman Fran Doran ahead of their show tomorrow! How would you describe your music to someone who hasn’t heard you before? Indie rock and roll channelling spaghetti western mariachi vibes. Life changing stuff. What can people expect from your gig at Rough Trade on the 21st March? As we’re writing this there are about 20 tickets left and they are selling fast. You can expect a lively atmosphere, lots of singing and dancing. Most importantly everyone is safe – we always get a nice crowd in. What are you favourite/least favourite things about touring? Your album Matador came out earlier this year, how have you found the reception of it so far? We can’t believe how well received our album has been. This tour has been the first one since we released the album and to have people singing the words to every song feels strange but amazing. You’ve announced a few festival dates for later this year, how does your experience of gigs compare to festivals? Do you have a preference? See them on the 21st March at Rough Trade Nottingham!